Sad to see the summer go so quickly? 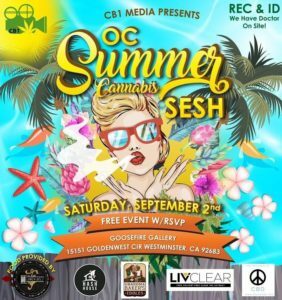 Not to worry, there are still tons of fun cannabis events happening all across California to help ease the pain and prepare for fall. 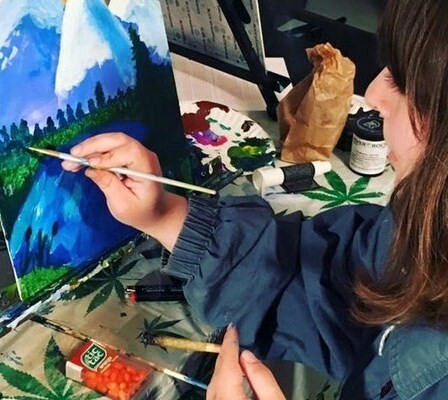 Creative cannabis painting classes, vegan cooking classes, cannabis-friendly improv—there’s no shortage of fun, interactive September cannabis events for mmj patients. 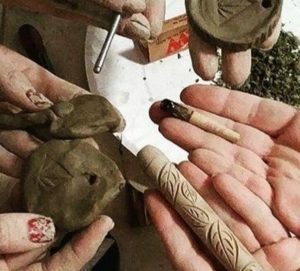 Puff, Pass & Paint is the first and best weekly cannabis-infused painting class with classes all over the country, including Denver, Portland, Las Vegas and Washington D.C.
Join instructor and pottery enthusiast Austa Obringer at the Oakland Cannabis Creative Studio for a night of creative cannabis-infused fun. Get messy learning how to make your own ashtray, pipe or anything cannabis inspiration guides you while enjoying a few tokes. You’ll be able to paint your piece with whatever glaze you choose, then pick your masterpiece up a week later (or have it shipped). New to marijuana? Have you been consuming cannabis forever without ever really understanding the science behind the plant If so, this informative workshop is for you. Get answers to all your questions including: What is THC? What is CBD? Is cannabis legal? 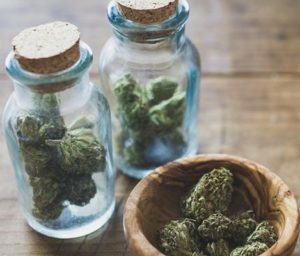 How do I get access to medical cannabis? Get your mmj recommendation through NuggMD prior to this or other September cannabis events to try the free mmj product samples. Growing your own cannabis can be an intimidating prospect, but it doesn’t have to be. 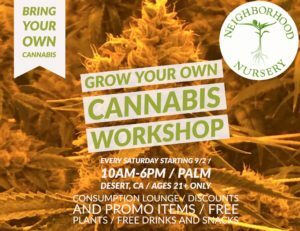 This weekly 21 and older workshop will teach you the basics of growing cannabis from clone all the way to full harvest. But wait, is growing cannabis yourself even legal? Yes! The state of California allows mmj patients to grow up to six plants at home. The cost of your ticket includes six free cannabis plants along with promo items and special discounts. Make sure to bring your medical recommendation to the event and your own cannabis if you want to medicate there. 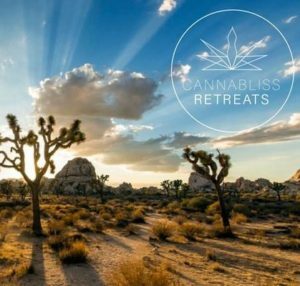 As if yoga isn’t zen enough already, get even more relaxed with a sunset view of Griffith Park as you have an intimate cannabis-infused session from a private Silver Lake home led by Stefani Manger, a certified yoga instructor who’s been a practicing yogi for more than 17 years. 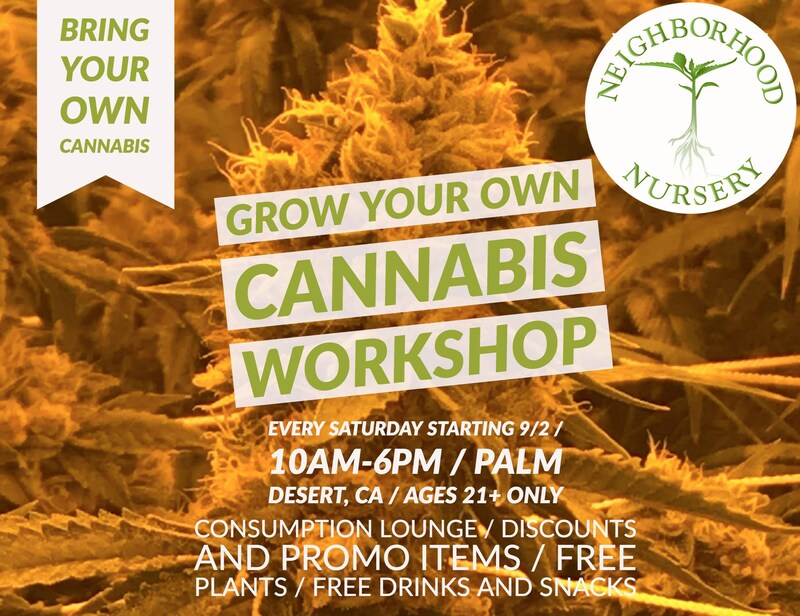 You’ll need a valid ID and mmj recommendation to attend this class as you’ll get free mmj goodies. And don’t forget to bring your own mat! Get your tickets before September 15th for early bird pricing. Every month ganja yoga queen Dee Dussault opens up her practice for her Monthly Cornucopia event. Join this certified instructor for an all-levels, upbeat hatha yoga practice. The best part? The September cannabis event includes 5+ samples of different types of cannabis products, including: vape pens, topicals, edibles, pre-rolls, concentrates, and tinctures from some of Cali’s best cannabis companies. September’s featured brands Legion of Bloom, Halsa, Betty Khronic, Seasonal Harvest, Swerve, and Medicine Box. 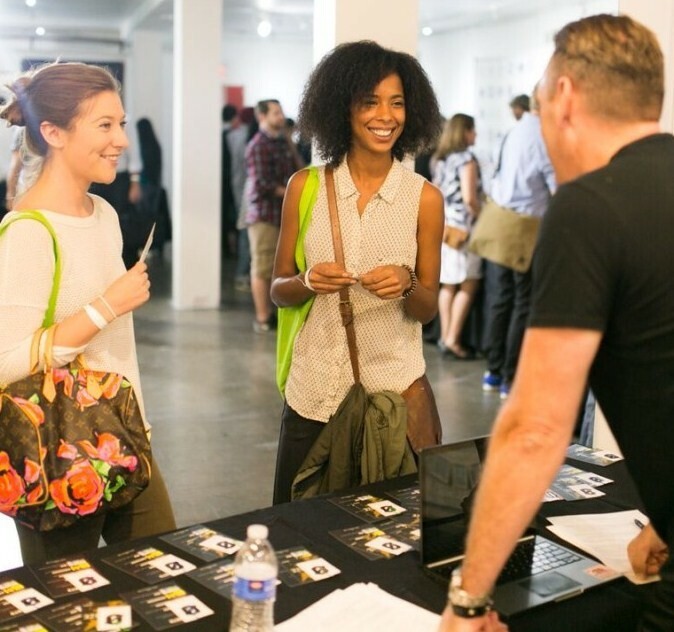 You don’t need a mmj recommendation to attend, but you must be 21 or older. The price tag might be scary steep, but this ticket includes a 5-day experiential cannabis retreat in rustic Joshua Tree. You’ll enjoy a full festival-style experience to stimulate all the senses. 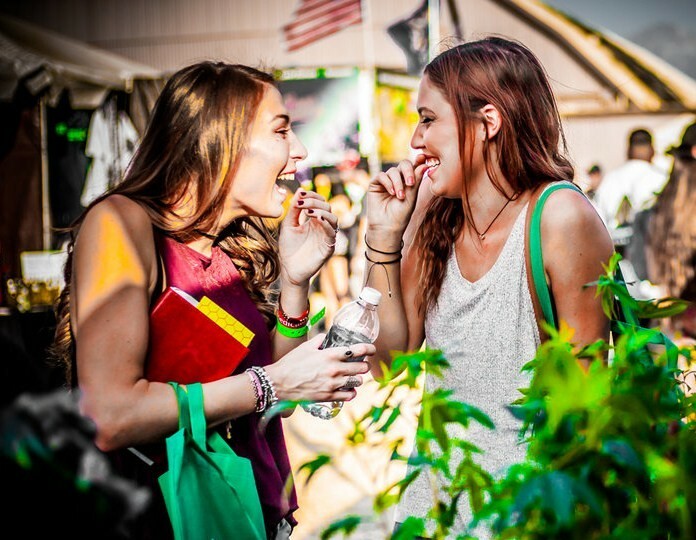 Sample your favorite brands at the Canna-Fair and marketplace, participate in Cannabis Accreditation Regulation & Education (C.A.R.E) workshops, pop-up interactive sensory enhancing activations, body painting, gypsy tents, an apothecary cannabis tent, silent disco, and yoga. Great for couples. Want to start a career in the booming cannabis industry? 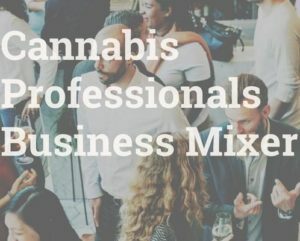 The Mendocino Cannabis Resource (MCR) connects potential employees with emerging cannabis businesses. Visit this free, weekly career fair to find opportunities in bookkeeping, consulting, HR, extraction, retail, cultivation, sales and marketing, security, trimming, and more. If you haven’t updated your resume in a while, don’t worry; there’s a free resume workshop to help you make your qualifications and job history as applicable as possible. 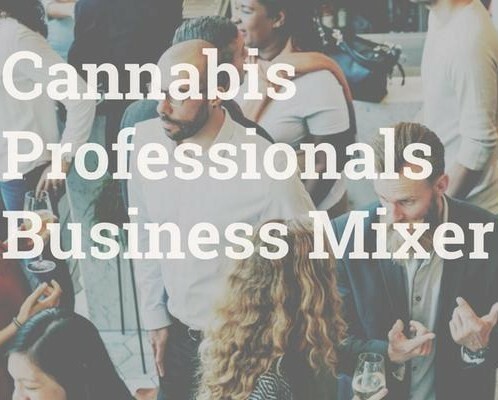 Hosted by a leader in cannabis industry networking, Kalogia, this monthly mixer will help open up your business network and learn more about industry compliance. The meetup will focus on packaging requirements, costs, and compliance for those looking to start their own marijuana company. This is a non-cannabis consumption event, though snacks and drinks will be provided. 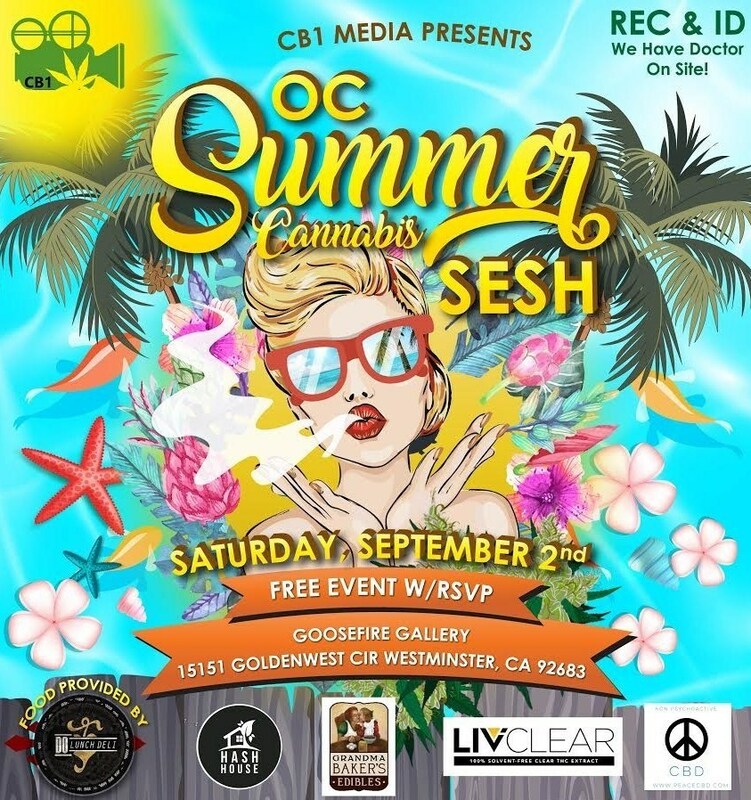 Head out to Goosefire Gallery in Orange County to celebrate the end of another beautiful summer with the cannabis community! 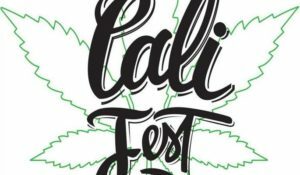 Try some of the best California cannabis products, meet your favorite brands, eat delicious food, and listen to great music for FREE! What could be better than these awesome vibes? Must be 18 and older to attend. 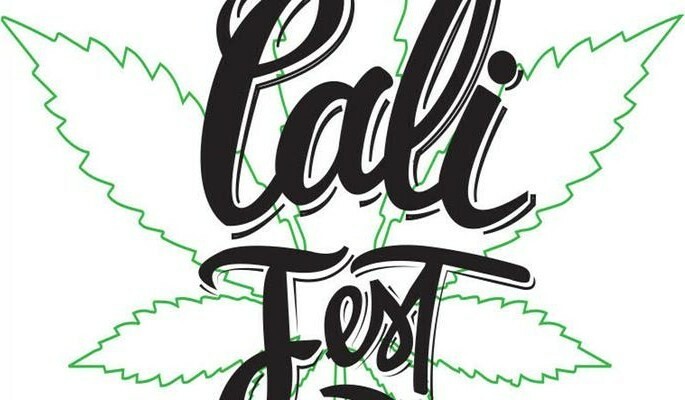 Be a part of history by attending the first annual Cali Fest! Sponsored by some of the biggest names in cannabis, this September cannabis event will have over 100 vendors, feature live performances, art, infused foods, a rosin village, giveaways, live glass blowing, and celebrity judges. Your $75 ticket comes with a VIP gift bag. 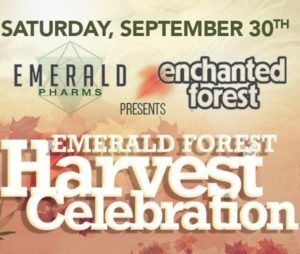 Hosted by Emerald Pharms, this all-day celebration takes place at the beautiful Real Goods Solar Living Institute in Northern California. Come listen to live music from an eclectic variety of genres including downtempo, bass, bluegrass, house and conscious hip-hop courtesy of Jurassic 5’s Chali 2na. Expect delicious food, a dab lounge, mmj and non-cannabis vendors, speakers, swimming, and more! There’s plenty to do at this all-ages, family-friendly event. Cannabis and comedy? Yes please! 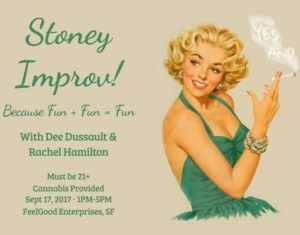 Join Dee Dussault and Rachel Hamilton for this fun Sunday afternoon improv session at FeelGood Enterprises. Attendees, even those with no experience, will play improv games, act out a few scenes, and have a ton of laughs. You must be 21 or over to attend since cannabis (and necessary snacks) will be provided. Sorry, boys, this one is just for the girls! 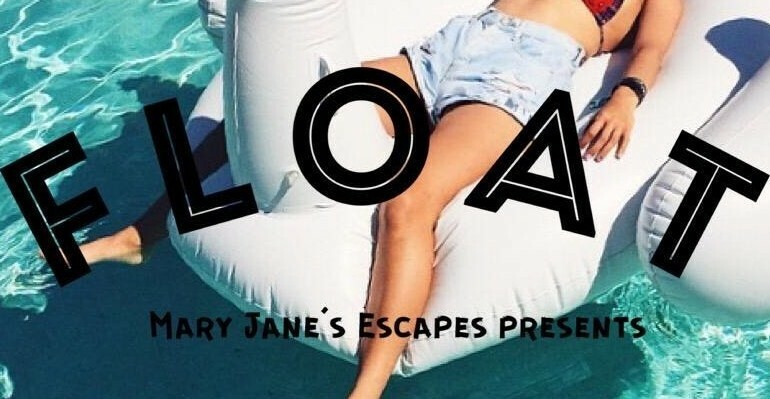 Mary Jane Escapes is hosting an end of summer, girls only pool party where you can sunbathe without being hit on, enjoy refreshments, consume some cannabis and connect with other like-minded ladies. You must be 21+ to attend and have a valid mmj recommendation. Don’t forget the suntan lotion and inflatable flamingos. Have you ever dreamed of learning how to make a delicious cannabis-infused food from a local edibles chef? 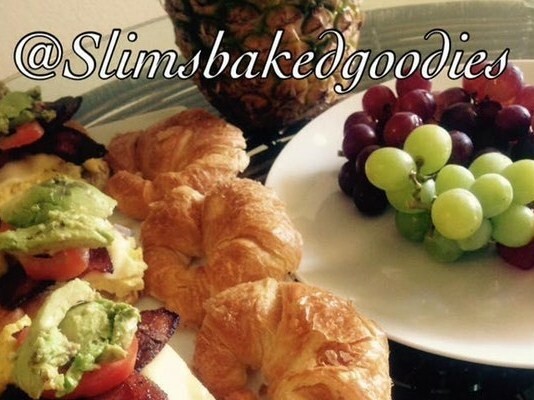 Join Sallie B of Slim’s Baked Goodies at the Oakland Cannabis Creative Studio for a beautiful BYOC (no cannabis is guaranteed) Sunday brunch class. Get the hands-on instruction you need to become a 420 chef, including infused recipes, decarboxylation, and proper dosing. You’ll even learn how to make a cannabis-infused cocktail! Ticket price also includes a light brunch. 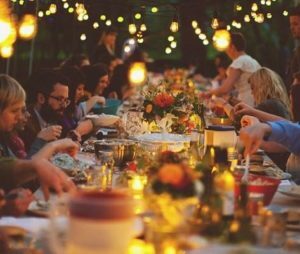 Enjoy a four-course cannabis-infused meal prepared by a gourmet chef sure to satisfy cannabis enthusiasts and foodies alike. The pop-up dinner takes place at a private San Diego residence that looks more like a work of art. This intimate, exclusive social experience has a vibrant atmosphere and live music to compliment the meal. 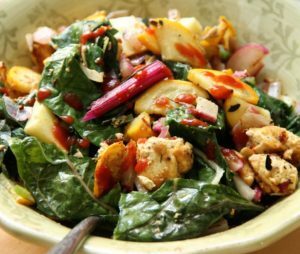 Learn the tricks of the trade from celebrated vegan cannabis chefs! Here you’ll learn vegan infusion methods along with the cooking basics and some advanced techniques. It’s taught in a relaxed 420-friendly venue, so bring some cannabis of your own to enjoy as you soak up the experience and ask questions. Be sure to bring a valid ID, as this class is only for adults 21 and older. 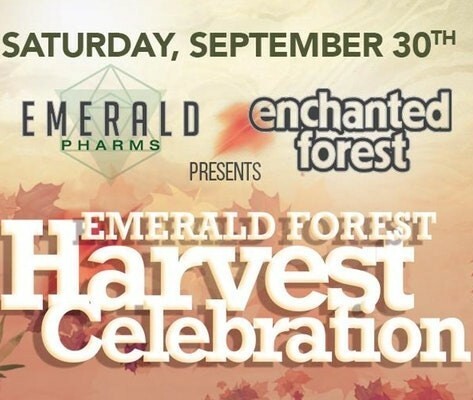 If you’re in the Frisco area, you have no excuse to miss this September cannabis event. 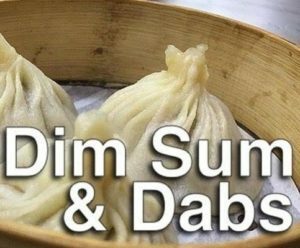 Head over to The Lounge at Harvest on Geary for a Wednesday night of free dim sum and concentrates provided by some of the top California brands like IVXX, Zlixxr, and Brite Labs. Remember, you’ll need a valid mmj recommendation to attend. Looking for something different, interactive and delicious? Learn how to roll a perfect joint and a sushi roll! 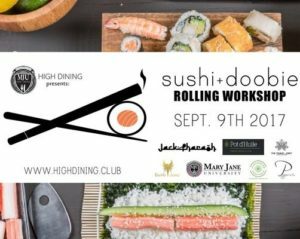 Hosted by the godmother of cannabis, Keiko Beatie, here you’ll enjoy appetizers, infused green tea, a vape lounge, and lessons on how to roll a blunt, joint, and sushi. The cost of your ticket includes entry into the vape lounge, a goodie bag stuffed with flower from Hummingbird Medicinals and sushi rolling supplies so you can practice at home. This class looks so fun!